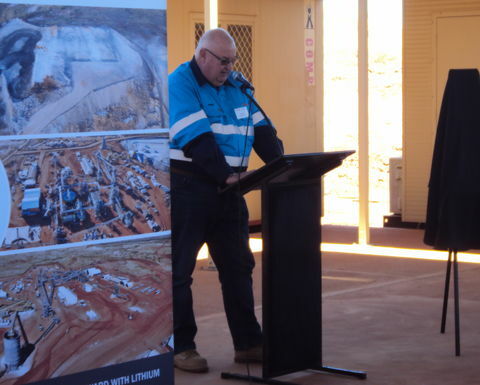 YESTERDAY may have marked the official opening of Altura Mining’s Altura project at Pilgangoora in Western Australia’s Pilbara region, one of the first in the new wave state’s emerging lithium sector, but it is just one step on the newly-minted miner’s journey. 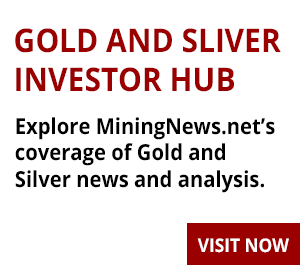 "Our pursuit of lithium doesn't stop here," Altura managing director James Brown said. "Today marks a significant event in the evolution of Altura, and credit goes to shareholders, employees and partners who have assisted in progressing the company. "It is an achievement to open a mine, and to do it in less than 18 months is testament to the drive and passion of all parties involved to build Altura into a world-class producer of high-grade lithium spodumene." 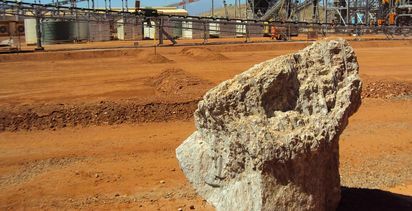 Processing has been underway for about six weeks, and the first shipment of 6% spodumene concentrate is still a few weeks away, but for all the rapid knocking over of milestones Altura's success has not come overnight. The company, then known as Haddington Resources, first started exploring in the area in 2009, when it had no single focus and when lithium was seen primarily as an industrial mineral. 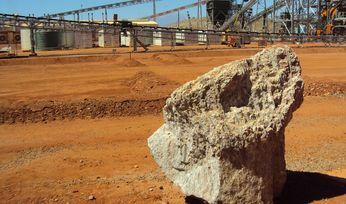 It defined a lithium discovery early on, and delivered a positive scoping study in 2012, but it wasn't until 2015 that it completed a definitive feasibility study for the mine, as the potential battery market began to evolve. In early 2017, Altura started its development, just across the ridge from Pilbara Minerals' emerging Pilgangoora operation. 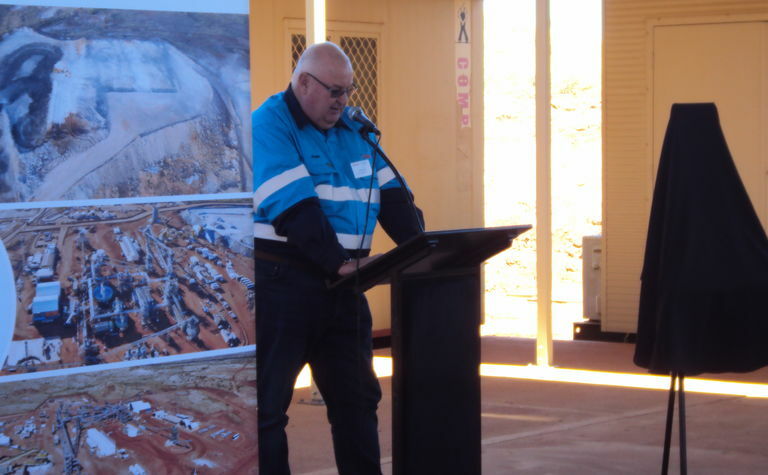 With Civmec and NRW as its main contractors, around 1000 workers have toiled in the Pilbara heat to rapidly develop the project, with 130 jobs expected to be ongoing. While Altura is not completely finished its transition, with the ball mill yet to be switched on, the company has been stockpiling ore at Port Hedland, where it will be shipped to one of two offtakers in China to be turned into technical lithium for the battery market within weeks. The lithium market was very different in 2013 than it is in the 2018, and while it is still fairly China-centric and juvenile, Brown said it was rapidly maturing. "We have been amazed at the speed of changes in the EV and battery markets, he said. The hard work of finding an orebody and securing funding have been challenging, and while he said Altura had proved it could do it quickly, stage two will likely require a partner - potentially a long-term offtaker and direct equity participant. The stage two study is complete, and the marketing phase is underway for an expansion from around 220,000 tonnes per annum to 440,000 tonnes per annum. A final investment decision is expected later this year. Brown said while the company had raced to production, it wouldn't do much differently for stage two, although it had learnt that "you need to be dynamic to operate in this space". He is confident lithium demand will continue to rise, and that WA, and Altura, will continue to deliver a quality product to the market. There are 34 million tonnes in resources, enough for 23 years of mine line from a pit that will be 1.6km long, 600m wide and 300m deep. The recent Southern Ridge discovery has already added 6Mt, with more expected to come from further exploration drilling. WA is now the world's largest lithium producer. Altura shares were last traded off almost 10% to A22c, valuing the company at $404 million. 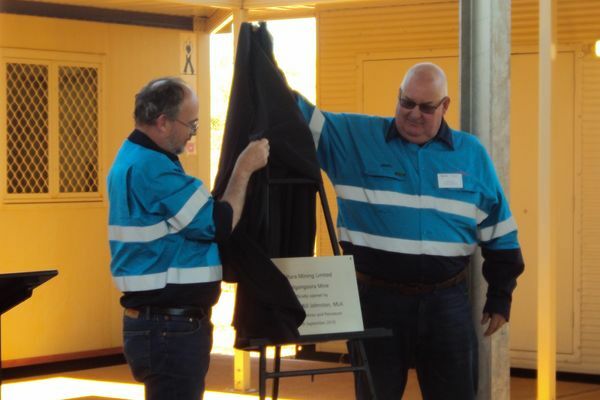 The reporter travelled to Pilgangoora as a guest of Altura Mining.